Zhongke is a leading global supplier of optical sorting solutions to the food and non-food processing industries and has been at the forefront of optical sorting technology for many years. We comprehensive know-how in the field of coffee production combined with its innovative solutions offer coffee processors the most advanced technology solutions.These customised solutions cover the entire spectrum of the processing stages - from initial handling, through to roasting and grinding. With a commitment to substantial investment in research and development, We have developed state-of-the-art technology that empowers processors to meet stringent food safety and quality requirements as well as maximising their productivity and profitability. Our advanced optical sorting technology delivers superior performance in removing the most challenging defects and foreign material from Arabica, Robusta and Roasted coffee. reject with over 50% contamination level. lighting and long-life serviceable ejectors reduces operational costs. The automatic filter changer and different product modes handle multiple products, while the quick chute release system allows the operator to remove chutes without the need to re-align the optics, helping to facilitate different applications. 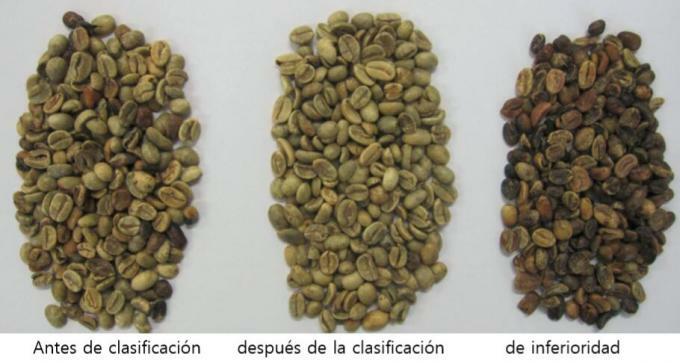 Color sorting is frequently used to remove the defective coffee beans that were not removed during coffee processing or hulling. Many countries sort coffee beans by hand due to inexpensive labor, but for most countries investment in a color sorting machine, or color separator, is necessary. CCD color sorters is ideal for sorting Arabica coffee beans, removing a variety of defects to increase product quality and safety.By incorporating the latest technological advances, defects such as sticks, stones, odd colors beans and other foreign seeds can be removed effectively and efficiently. Remark:We have many models from 1 chute to 16 chutes for option to meet any different production capacity.The exact production capacity may change due to different impurity level.